Live it! 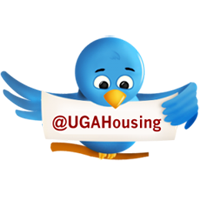 UGA Housing: Don’t let policy violations happen to you! Year after year, we receive entries from the best-looking rooms across campus for our annual Room-of-the-Year contest. Posters, lights, color-coordinated stackables and other assorted thingamajigs come together to make our job as judges extremely difficult. Oh, and one other thing – policy violations. All rooms must comply with all University Housing decoration and other policies. Any room found in violation of UGA Housing policy, or with evidence of policy violations by the residents, will be disqualified from consideration. Consult your Community Guide for more information: http://housing.uga.edu/about/publications/guides. All entries must be “grandma friendly,” with no obscenities or other offensive content! How is this possible? Well... We’re not exactly sure. 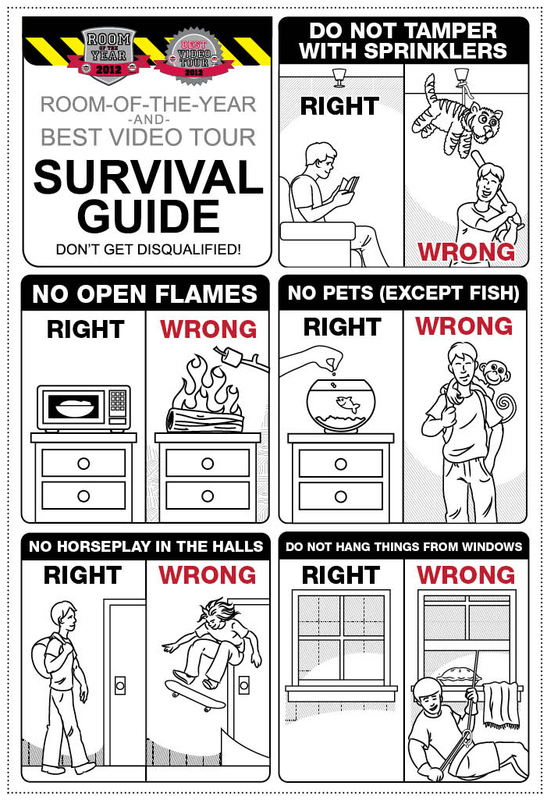 But, we’ve compiled some of our top policy violations in a visual illustration to help you all remember the DOs and DON’Ts of this year’s Room-of-the-Year and Best Video Tour contests! Friends don’t let friends have policy violations! *View the complete list of contest rules, and enter the ROTY and Best Video Tour contests today!